Full Price: $ 5.99 35% off! This listing is for just under 9 in. 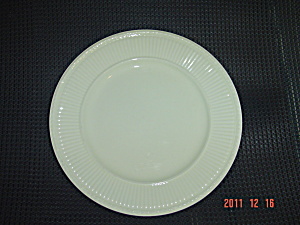 diameter lunch plate from Wedgwood Edme. These are made by Wedgwood Edme. THIS PLATE IS CRAZED AND THE PRICE IS REDUCED ACCORDINGLY. THERE ARE NO CHIPS OR CRACKS.